Mercury division of Ford Motor Company is an entry level luxury manufacturer. The Mercury convertibles were very popular into the 1970s. Each of our Mercury convertible tops is manufactured to original pattern specifications and we offer the original fabric selection. 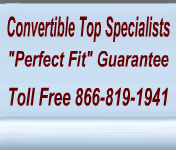 Our Mercury convertible tops will instantly renew your vehicle to show room condition.